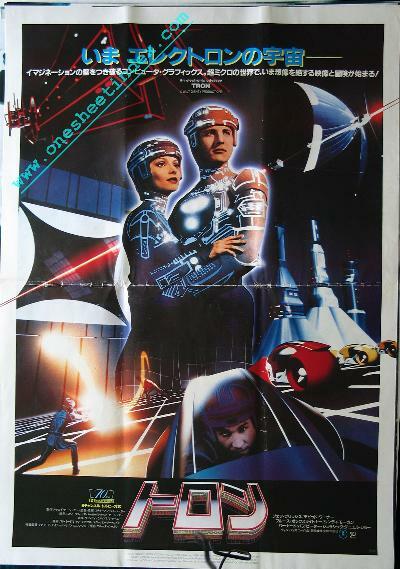 Tron, the 1982 Steven Lisberger U.S./Taiwanese Walt Disney science fiction (sci-fi) fantasy thriller ("A world inside the computer where man has never been. Never before now. "; "Trapped in a fight to the finish inside the video world he created"; "See the movie. Play the game. "; "Story by Steven Lisberger and Bonnie Macbird"; about a hacker who is abducted into the world of a computer and forced to participate in gladiatorial video games) starring Jeff Bridges, Bruce Boxleitner, David Warner, Cindy Morgan, Barnard Hughes, and Dan Shor.